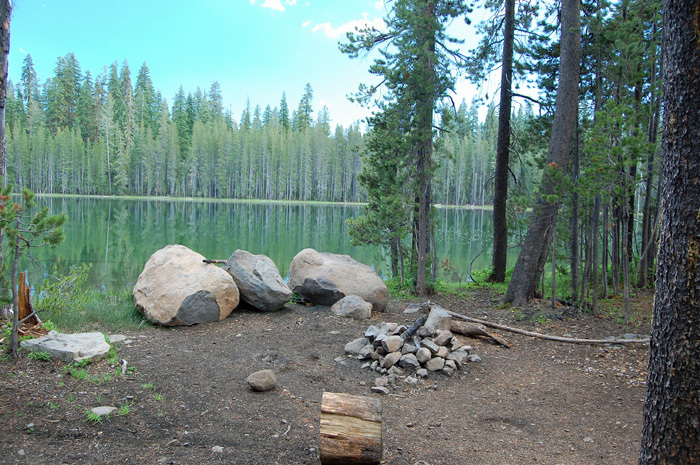 We hike the trails of Lassen National Park and Caribou Wilderness. Our maps are free to you, the hiker. 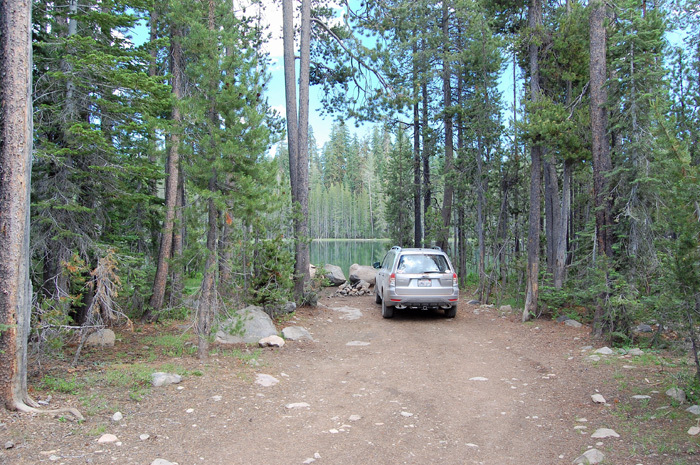 There is a single small campsite in the trees on the shores of Shotoverin Lake. It is quite picturesque, but a little close to the gravel road. Still is makes an excellent campsite for whoever gets there first. No toilet. Lake water (maybe greenish). Campfire permit required. Mosquitos in July.